With our several years of successfully providing our clients superior quality products, we have gained proficiency in offering Cobalt Oxide . Avis offers wide variety of Cobalt oxides with different cobalt content as per customer’s requirement. Avis refines cobalt oxide with the input of Cobalt ore as raw material in its own refinery spread over 10000 square meters. Cobalt oxide is an olive-green to red crystals, or grayish or black powder in appearance, cobalt oxide is used extensively in the ceramics industry as an additive to create blue colored glazes and names as well as in the chemical industry for producing cobalt(II) salts. As per specifications at our web address. Leveraging on our extensive market knowledge, we are providing a high quality range of Cobalt Oxide. Cobalt(II) oxide appears as olive-green to red crystals, or greyish or black powder. It is used extensively in the ceramics industry as an additive to create blue colored glazes and enamels as well as in the chemical industry for producing cobalt(II) salts. CoO crystals adopt the periclase (rock salt) structure with a lattice constant of 4.2615Å. We are a reputed firm, which is engaged in offering Cobalt Oxide chemical in varied quantities. This product is highly used in the ceramics and glass industry as it imparts blue color in porcelain. 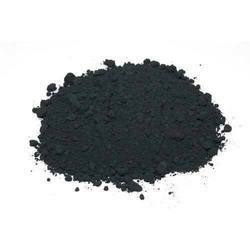 We also deal in Cobalt Oxide which is been used as a metallic pigment that provides blue coloring in porcelains and glass. It is also used as a drying agent in inks and varnishes and as a feed and fertilizer additive. 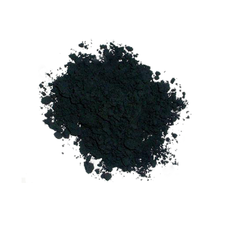 Cobalt carbonate has same coloring application as it decomposes to cobalt oxide at high temperature.